Product prices and availability are accurate as of 2019-04-12 11:14:37 UTC and are subject to change. Any price and availability information displayed on http://www.amazon.com/ at the time of purchase will apply to the purchase of this product. 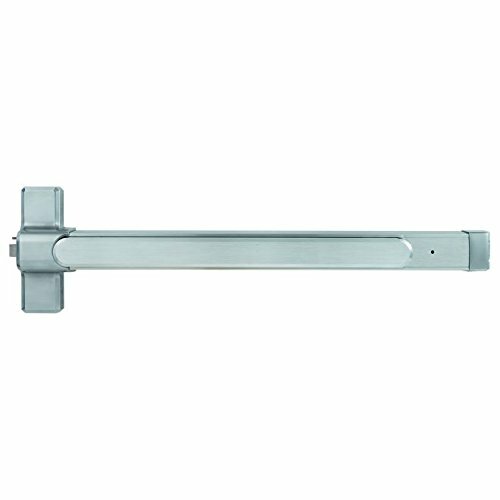 The heavy duty QED100 series exit devices are designed for institutional, commercial uses such as educational, health care and industrial facilities where a long-lasting, highly durable product is required. These exit devices will deliver the operational requirements set forth while withstanding the physical abuse associated with the applied environment. Tested and certified to significantly exceed 1,000,000 cycles - well above the requirements for Grade 1 certification. Dampening device insures smooth, quiet operation. Thru-bolted trim design for increased security and durability. Wide variety of trim options to fit any job. Consistent styling allows for suiting with other K2 Commercial Hardware products.